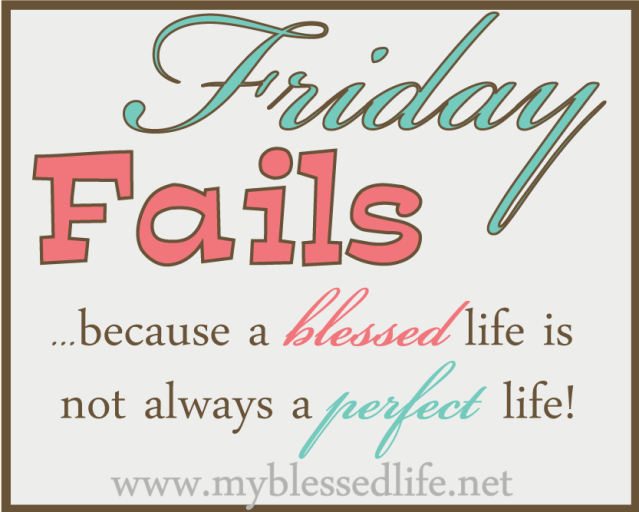 This morning, I went to Publix to get the deals this week. I paid $18.84 and saved $114.37. That's 86% savings. Wow! It's been a while since Publix blew my socks off. I came away a happy camper. Hope you can catch all these savings too! Pay for only 1 item! Pay $1.07 for 4 OR $0.27 each! Some planters canisters have $1 peelie. Stack with Target $1 off 1 and B3G1. I was able to find 3 peelies and got $1.59 overage! There are some nice deals this week. Happy Shopping! 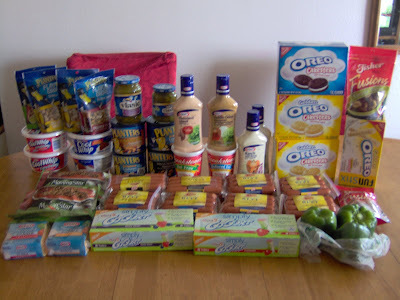 Publix grocery ad and coupon match-ups from I Heart Publix. For BOGO Sales, use two coupons for more savings! There is a $10 Kraft Rebate (from Kraft Home Mailer Sample Pack)- starts SUNDAY May 23! 2 FREE + $3 Overage! Winn-Dixie grocery ad and coupon match-ups from Southern Savers. You can even make custom shopping list! I have enjoyed shopping at CVS this week. I only spent $7, got $7.50 in overage. Plus I still have $16 ECBs left! Yay, for CVS! CVS deals are good through Saturday. I always visit mega blogs like Hip2Save because they update deals all throughout the week. On sale for $3/bag. Used $1 Q from Reinventing Beauty= FREE! I have my Publix picks up but stay tuned for the others later. My 5 year old is hanging out with me (since 7am) and my brain has slowly dissolved listening to all his sound effects. Restaurant.com $25 GC for only $2! 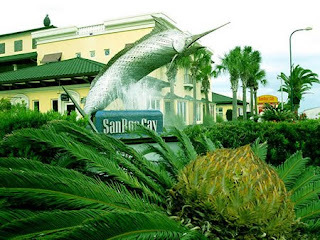 Pass the bridge into Orange Beach (right after the Caribe condos) you'll be greeted by this huge marlin at the San Roc Cay. It looks so nice there that we've avoided it for fear of blowing a hole through the wallet. 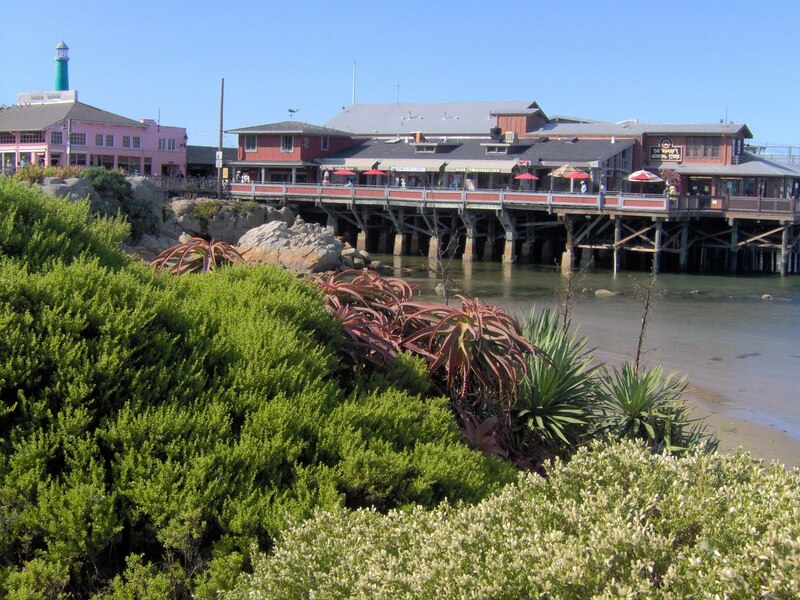 Enter Restaurant.com, a lifesaver and date-night reviver. It turns out that North Shore Grill and Deli is at the San Roc Cay and so, so cheap. Right now, you can buy a $25 gift certificate for only $2 using the promo: ENJOY. The code is good through 5/13. Loaded nachos for appetizer with three colored tortilla chips. Smoked tuna dip served with hummus (gone before this pix). A huge bowl of shrimp and grits, so very yummy. Big Kahuna burger with chili sauce, weird combo but good. A slice of key lime pie and two huge cookies we had to get because we still had to order more to make it to $35 minimum purchase. With tax and a $5 tip, our total was only $15. Plus we had lots of food leftover. Thanks to our $25 Restaurant.com gift certificate (bought for only $2) we had a feast for lunch. And had enough money left to watch a movie at the Rave! We visited the Fisherman's Wharf in Monterey, CA last year. 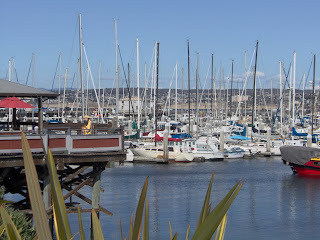 Unlike marinas here, every boat docked there was a sailboat. 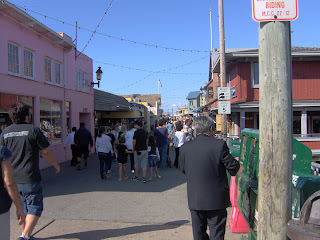 Lots of restaurants flanked the one long street. And every single one attempting to convince you that their clam chowder is the best. Had they known the only ones I've ever made comes from a can, I would have been put to shame for sure. It's out of convenience. That's how it was with Hamburger Helper Beef Stroganoff. Looking at my cookbook for inspiration, I know I can do this! I just need to try. 1. Drain the clams, reserving the juice. Add more water to the juice to make 1 cup. 2. Cook bacon until it is crisp. Drain on paper towels. Crumble and set aside. Reserve 1 tbsp drippings in the pan. 3. Saute onion for two minutes in the bacon grease. Add everything except for the milk, cream, and flour and clams. 4. Bring to boil then simmer for 10 minutes until the potatoes are tender. 5. Mash the potatoes on the side of the pot with the back of a fork (I am thinking that I might make masked potatoes and just add them in). 6. Stir milk, cream and flour in a bowl. Then add to the pot. Cook and stir until bubbly. Add clams. Return to boil then simmer for 2 minutes. 7. Top with crumbled bacon. And serve! 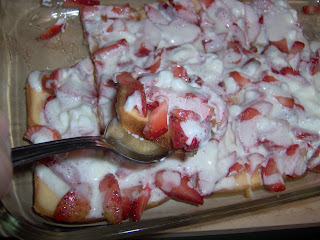 I'm looking forward to making this soon! Join Tempt My Tummy Tuesday and Tasty Tuesday for more fun recipes. This may not be the thriftiest tip, (check Thrifty Tip Tuesday for those) but it might at least save your dinner! My mom taught me this dandy way of making sure you have just enough water for making rice. 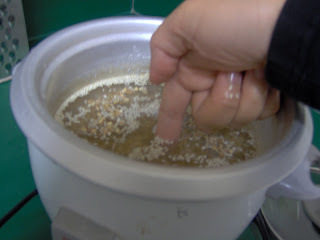 Although two parts water to 1 part rice works, she always measured it with her knuckle. If the water level is just at the first knuckle of your pointer finger, that's enough. A little bit over if it's brown rice. This tip is from my hubby: if you find it undercooked, add more water to cover the top and cook it on medium high uncovered until all the water boils off. Worked everytime. How did he know? He must be part Asian. Of course, rice cookers are a great investment. You don't need to buy a big one. Ours is only 3 cup and lasts two meals. Plus I use it to cook lentils too! 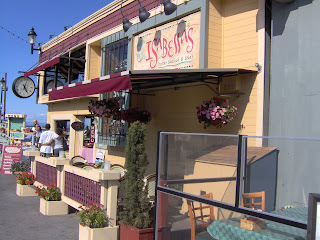 Some even have steamers. Somehow it always knows to cook the brown rice longer than white. I don't really get that. Heat 2tbsp oil in a skillet over medium heat. Saute onion & garlic until trasparent. Break up the rice by adding about 1/3 c water to 2 cups cold rice. Add to skillet. Mix often to keep from sticking to skillet. Break two eggs over the rice and work them in the rice. Keep mixing the eggs in so they'll coat the rice. Add 1tbsp soysauce plus salt and pepper to taste. Tada! Fried rice, simple and cheap! Sauteeing onions and crushed garlic over oil before adding other ingredients is the trademark of a Filipino dish. We do this for adobo, fried rice, sauteed veggies, you name it. 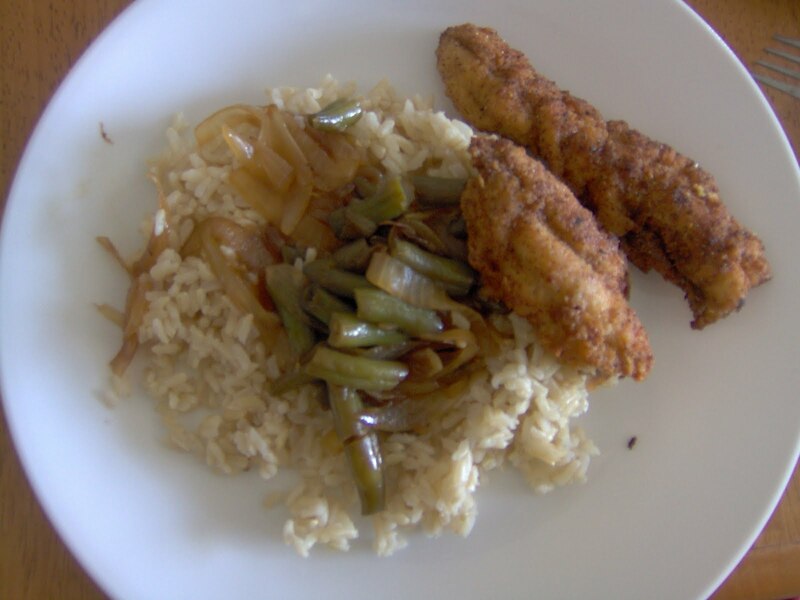 Plus onions and garlic are cheap veggies that infuse lots of flavor and are healthy for you. They always makes it smell like you're cooking something great, too! 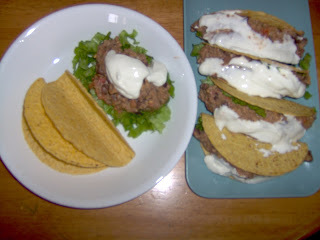 Unimaginative as it was, Tacos for Cinco De Mayo seemed natural. Since the kiddos don't like spicy, theirs was plain tomatoes and ours Rotel. It's always fun watching them eat it. Especially my daughter who is still waiting for the tooth bank to bring her two front teeth. CVS is the place to buy cheap tuna. Bumblebee and CVS must have cut a deal because it's once again $0.49 a can. 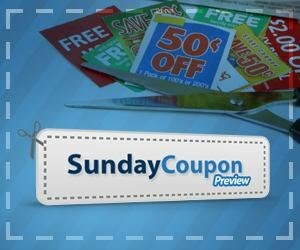 We still have lots from when the $1 off 5 coupon was available. Instead of tuna sandwiches, I'm making these as tuna dip! Great for using up the crackers stockpile. In honor of our Gulf Coast community's struggle with that BP Oil Spill, we're having some fish this week. Some fish patties, others fried and leftovers will go to fish soup. There is a Tamarind soup base found at Asian stores used for making sour soup. Add a jalapeno (I use one that comes with Papa Johns pizza), chopped tomatoes, green beans, and baby spinach and you're set! 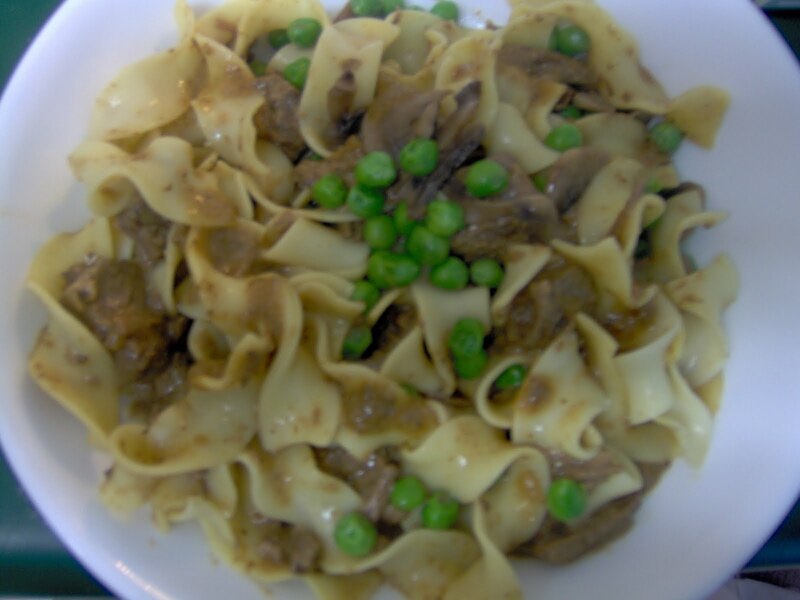 Another family favorite is beef stroganoff. The peas are supposed to make it healthier. 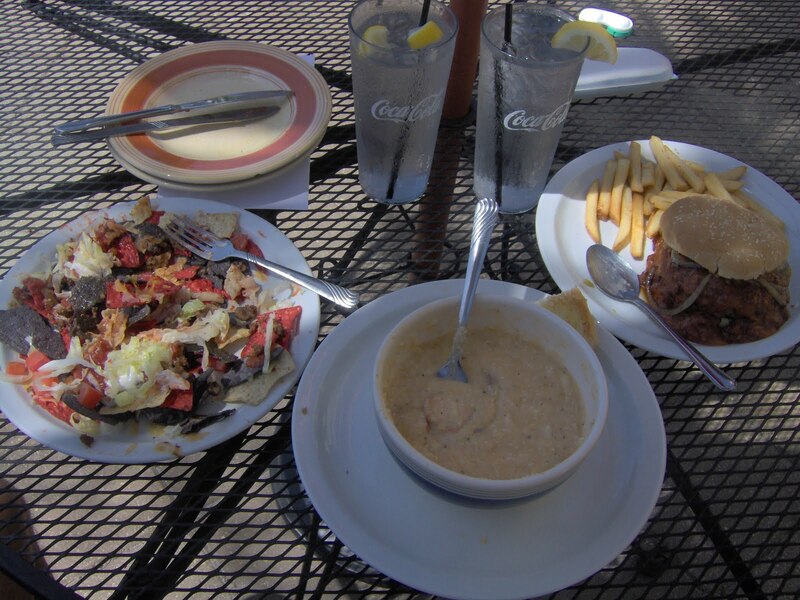 Breakfasts: burritos, oatmeal, muffins, pancakes and waffles. Strike the pancakes. I made some this morning with buttermilk and it was the worst pancakes, ever. I think I'll stick to waffles. Lunches: tuna dip, hummus dip, crackers and cheese, lots of salad- anything that I don't have to be in the hot kitchen nor wash lots of dishes. What's cookin' at your house? 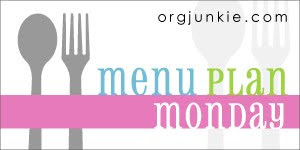 Join the bazillion ladies and link-up your menu at OrgJunkie. We only got one Smart Source insert this week, and our region did not get the $5 off 1 Shcick Hydro Razor. Which is too bad because Target released a $1/1 coupon perfect for the Target $5 GC deal. Plus, my Wal-Mart didn't have FREE inserts at Customer Service and I wasn't about to buy a paper that was missing the only coupon I needed. Oh, well. It just forces me to take a break from coupon clipping this Mother's Day. There are lots of items on price cuts every week besides the Target GC deals and weekly match-ups. I try to visit Totally Target a couple times a week because that gal is just super! with the Target deals. = $1.02 overage after Gift Card! Keebler Wheatables Nut Crisps or Crackers, $1.99(Use $1.50 PRINT = only $0.49!) Walgreens has a few freebies. Nice as they are, I might skip them. I'm terrible at cashing in my Register Rewards. Thanks for the match-ups, I Heart Wags! Plus, the RR is reportedly rolling! The two above would make for easy $5 Wags Challenge. Plus you'd need a small filler item for the second transaction because you need the same or less number of manuf coupons for the number of items you have. Total: Paid $3.38 out of pocket, got $5 RR left! If you are planning to shop CVS this week, take note of the few money makers. For some reason, though, our ad prices are more expensive on some items like Right Guard. But it's still comes out FREE with a small kickback so we just take what we can! 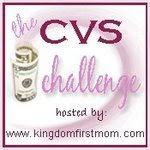 Thanks to I Heart CVS for coupon match-ups! 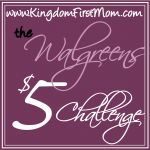 The $5 CVS Challenge is a great way to get started. It shows how, even if you only have $5, you can roll over your ECBs in different transactions and come away with a lot more bang for your buck! All in all, you'll spend $4.96 and get $8.49 ECBs. You don't even have to stop there. You could keep going and stock-up on all the other great deals. Learn how to roast asparagus at URS. I love asparagus omelet myself. But I wanted to highlight an veggie that's been getting such a bad rap: potatoes. Yes, it's a white starch. But I love loaded potatoes and eating them may be bad for you, but I think the potassium and vitamin C counteract the bad. So in moderation, it's a great comfort food. Plus it's el cheapo! This week, Greer's has 5lb bags for $1.50 and there's a BOGO Green Giant Potatoes coupon too. Simply wash well then prick everywhere with a fork. I let them cool slightly then halve and mash. 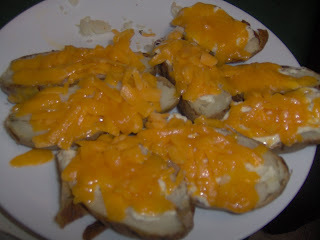 Add sour cream and sharp cheddar cheese. These should melt with the heat of the potatoes. Top with bacon pieces if you have any. And serve! 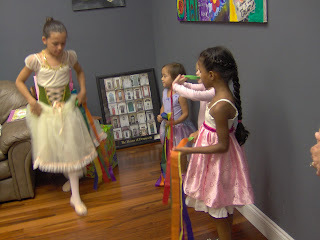 Our friends celebrated their daughter's birthday with an Angelina Ballerina theme. What I loved best about it was the special guest who visited them. To the little girls there, she might as well have been Angelina Ballerina herself. She's the older daughter of a family friend who has been taking ballet lessons forever. 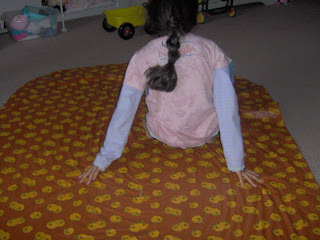 Dressed in her recital outfit, she gave a mini-ballet class, complete with stretching exercises. What a pro! The girls loved every second of it. I thought it was an awesome idea to invite an older child to be a special guest at a younger child's party. So if you are having a pool party, invite a junior lifeguard to give swimming lessons. Or if someone rides horses, learn how she takes care of the horse then have a picnic there. Little kids are easily impressed and the older child feels honored. This makes for a frugal and memorable party! Share your frugal tips. 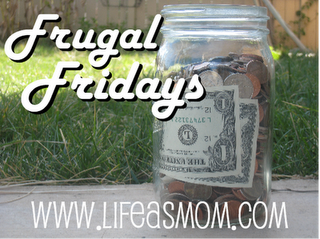 Visit Frugal Fridays for more ideas. No, it's not marshmallow cream. Still tasted great even with a side of bruised ego! Keep it real at Friday Fails. It's not so much what you barter, but who you barter with. I feel like when you barter, you offer your best and it's reciprocal. I'm getting more than lettuce and rosemary. But more importantly, a fine friendship. And you can't trade that for anything! Harkening the good old days when friends helped each other out is a fine thing! 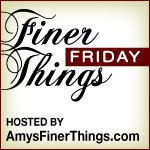 Visit Amy and share your Fine Thing. 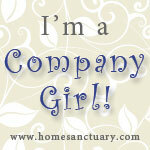 Hello Company Girls! I haven't been with you for so long now. I'm glad to finally have time to visit! Today I'm having tea with LOTS of honey to soothe my allergies. 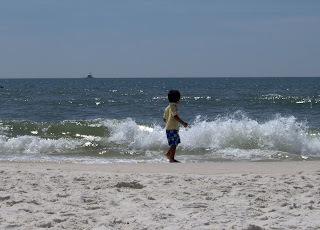 With the BP oil spill threatening our waters, we're trying to visit the beach as often as possible. Very early of course as it already gets in the 80s here by 10am. The past few weeks have been busy with playdates at the park. Pensacola is home of the Blue Angels. 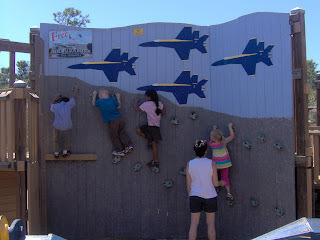 So of course, the kids park has at least 4 Blues planes and this awesome climbing wall. I love this park! It looks like a castle from the outside and has a separate Tot Lot for 2 and under. The only thing that concerns me is that the water fountain says domestic water. What does that mean? 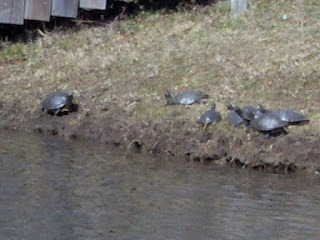 Where we live, we've been enjoying feeding the ducks and watching the snapping turtles come out of the pond to bask in the sun. 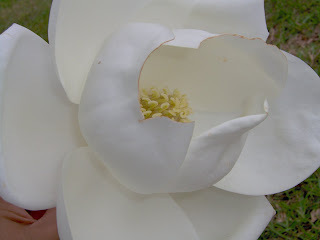 It's only the first week of May & the magnolias are already blooming. I love admiring them from afar where I keep can safe with my allergies. Company Girls love to keep each other company. 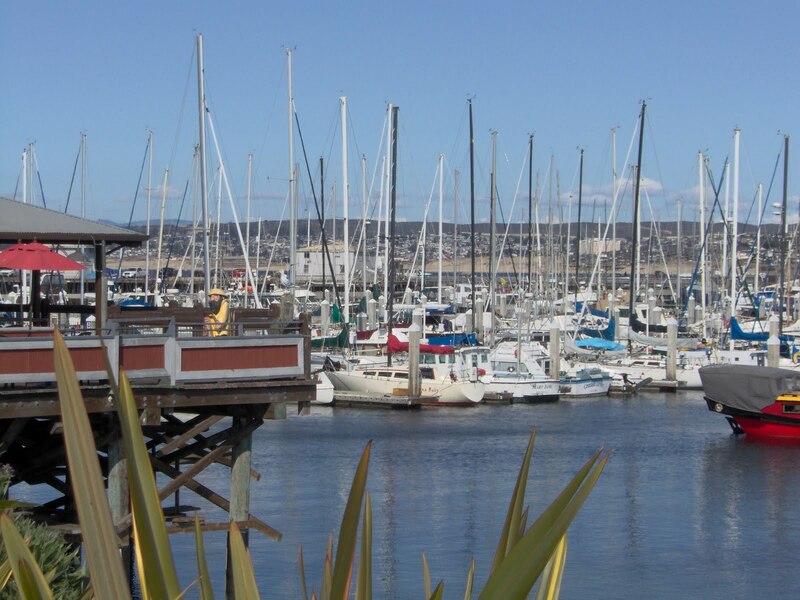 Learn how to be part of this great community at Home Sanctuary. I stopped by CVS this morning to get the other deals this week. Here's a short video of that for you! At CVS, I spent $0 and got $9 ECBs! At Target, I found block Kraft cheese for $1.06 and shredded for $1.99 (only $0.99 each using the $2/2 Kraft shredded cheese blinkie). 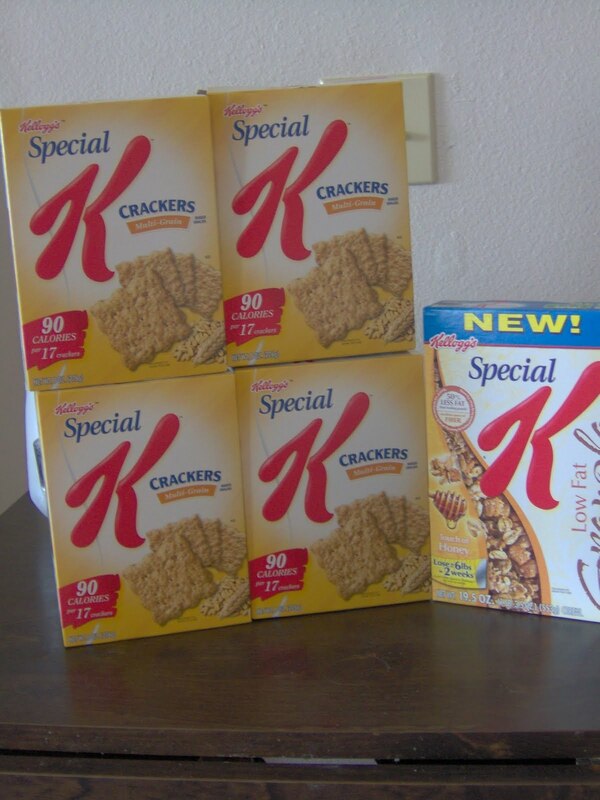 I bought 8 blocks and 6 shredded for $14.42 and now I am stocked for a long, long, time. You need to try this just for laughs. 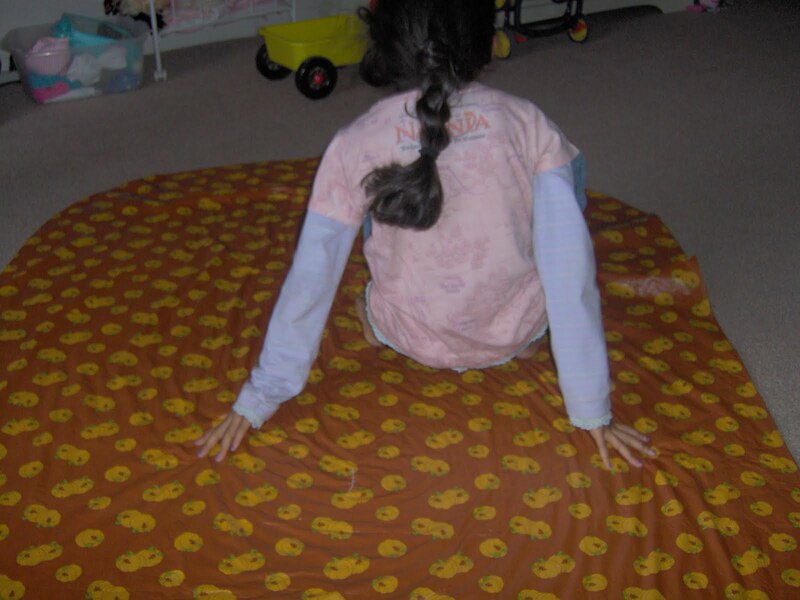 We all know children can spin around for hours. My husband had this great idea to let them try some breakdancing moves. He laid a table cloth (vinyl top I think) on the floor. Then he spun them around and around. It was hilarious to watch them spin so fast. And they loved it! Who knew? Frugal fun, that's what I'm talking about! What works for you? Share it! 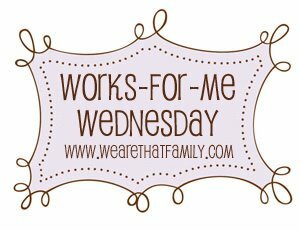 Visit We Are That Family.